It was a snowy Sunday morning in New York City and I sat down with my coffee to do what every other millennial does in the morning- scroll through my Instagram feed. My curiosity was piqued by a video posted by Dr. Ourian (@simonourianmd1), whom I’ve been following on Instagram after seeing him on an episode of Keeping Up With The Kardashians. It was a video of a facial transformation in which he enhanced a woman’s cheekbones, her jawline and used a couple of lasers. After only an hour, she looked five years younger. I was in complete awe. Dr. Simon Ourian is a legend and pioneer in the aesthetics industry, a sculptor by avocation, and arguably one of the best cosmetic dermatologists in the world. 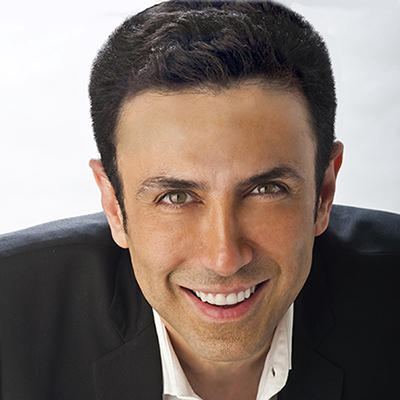 He is an innovator in non-surgical cosmetic procedures and is credited with enhancing the world's beauties. The doctor’s illustrious clientele includes the Kardashian-Jenner family, Victoria Secret supermodels, actors, musicians, and many of the world's royalty. With over 1.6 million Instagram followers, Dr. Ourian is no longer just the man behind these beauties, he is now a celebrity in his own right. 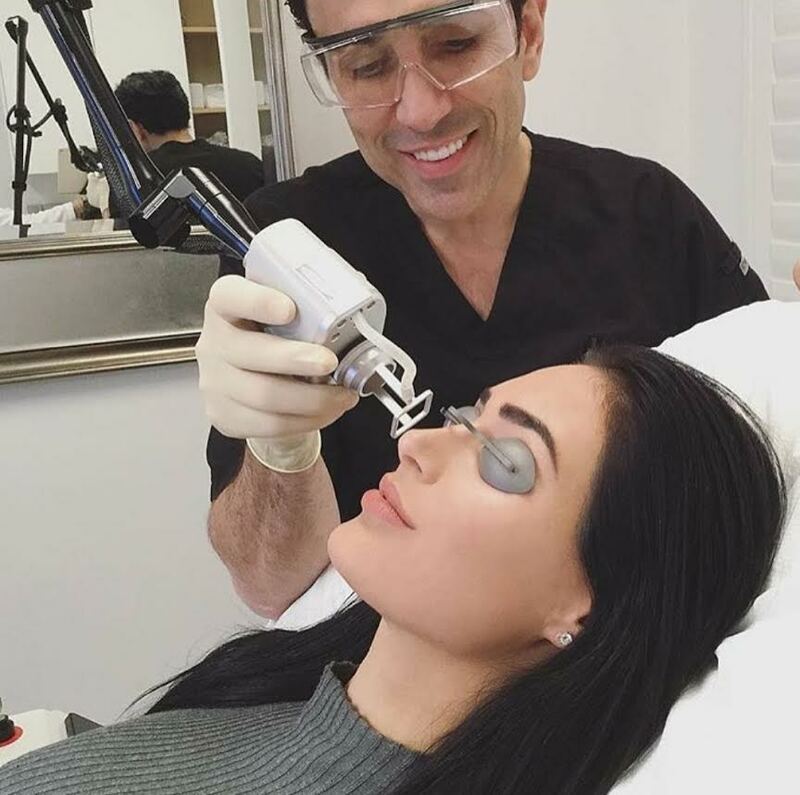 I met up with the sought-after doctor at Epione Beverly Hills where he shared his story of developing revolutionary non-invasive techniques, pursuing his passion of helping people, and becoming a social media phenomenon. Ourian, who was born in Iran, moved with his parents to one of L.A.’s modest suburbs in the 80’s. He lived in a two-bedroom apartment with his family and, as a teenager, worked at McDonald's while he learned English. For as long as he could remember, he had a love for art, specifically sculpting. However, his parents encouraged him to explore a career in medicine prophetically knowing, as parents do, that he might go on to do great things. Besides, the art industry can be notoriously unstable. He obtained his undergraduate in molecular biology from California State University at Northridge and was awarded his medical degree from Wayne State University in Michigan. He then went on to do his residency at UCLA. His parents may have planted the seed of interest into the medical field but Dr. Ourian found a way to combine his artistic ability with his career and made cosmetic dermatology his own form of art. As an outsider looking at Dr. Ourian now, living in Beverly Hills and hobnobbing with Hollywood’s elite, you could easily assume that there was no struggle, hard work or determination involved in becoming the doctor and innovator that he is today. After he completed his schooling, Dr. Ourian tackled the daunting task of opening a practice. “I always knew I wanted to have my own practice,” he said, “but I couldn't afford the rent for an office in Beverly Hills at the time, so I got a list of dermatologists here and contacted them, asking if I could rent a room for an office. After knocking on the 50th door, that doctor said yes! That is how we started: very slowly and we’ve built it into what it is today.” I frantically tried to take notes but sometimes I found myself simply listening to his story with expressions of wonder. To me, this was truly the American Dream. 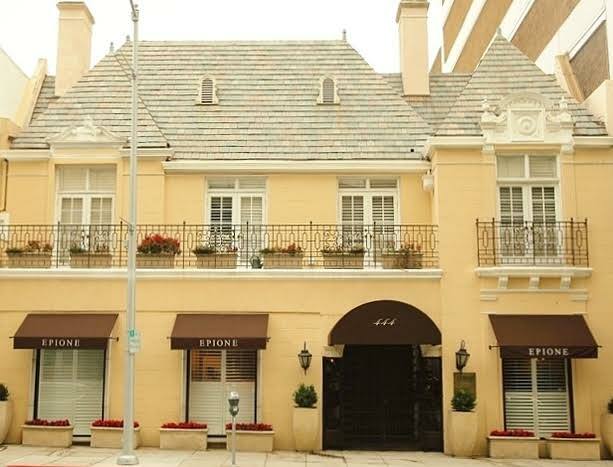 Now, Epione Beverly Hills is known as the most comprehensive, state-of-the-art laser and aesthetic surgery center in the world. Dr. Ourian envisioned a center where everyone could benefit from the most recent advances in aesthetic and anti-aging medical technology. His vision became a reality. Like the true New Yorker that I am, we paused the interview to add a cup of coffee into the mix. As we were waiting to be seated at The Polo Lounge, a staff member came over and introduced herself as a huge fan of his work and told him what an honor it was to meet him. Walking to our seats, I observed other diners staring at him as if they all knew him as well. When we settled into our seats, I asked, “Do you like the fame aspect of what you do?” He replied, “I don't mind it. People don't have to go out of their way to compliment your work, but they do and I appreciate that. I recently returned from Dubai with Kim [Kardashian-West] and I don't know if I could ever deal with the level of fame which she handles so gracefully. Thankfully, I don't have to.” “Yet,” I said to the dermatologist who has appeared on Keeping Up with the Kardashians, Today Now, and Fox News as well as in issues of Cosmopolitan, Harpers Bazaar, and Marie Claire. He can also be seen daily on celebrities’ Snapchat and Instagram stories. Within the past ten years, he has also developed the Coolaser™ for darker skin types which clears acne and discoloration, the Coolbeam™ to eliminate stretch marks, and the pain minimizing tool to called My Vibrata™ which is now used by doctors worldwide. Dr. Ourian is continually striving to improve the practice cosmetic dermatology for himself and other doctors. We said our goodbyes and I left. As I reflected on the interview, it was evident to me that the human body had become his greatest work of art. There is an old saying in my hometown: ‘when you are excellent in your craft, people will notice.’ For Dr. Simon Ourian, 1.6 million worldwide fans, A-list celebrities, and even the world's royalty have all noticed. Angel jessica and 8 others upvoted this.